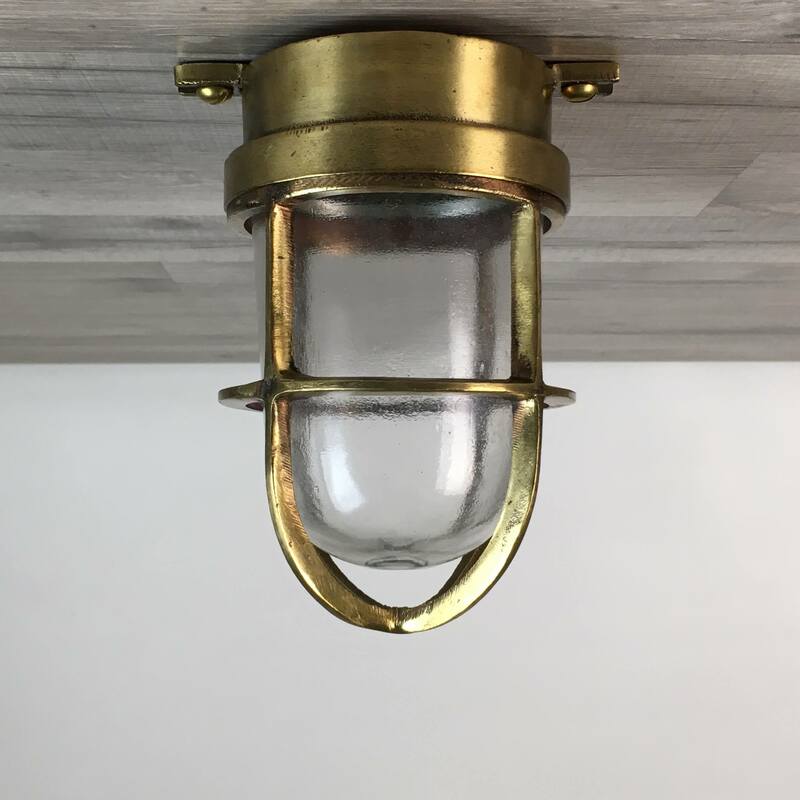 These authentic nautical brass lights each measure about 9 1/2 inches long, from the top of the wall mount to the bottom of the cage. The wall mount measures 3 5/8 inches in diameter, with four mount holes. Each light extends out from the wall by 6 1/2 inches. Weight of each light is 5 1/2 pounds. This set of lights has been rewired with new Westinghouse Electrical parts, including ground wires, that are UL-Listed and rated to work with any voltage under 250 volts. The new bulb holders take a normal screw in house bulb of 75 watts or less. 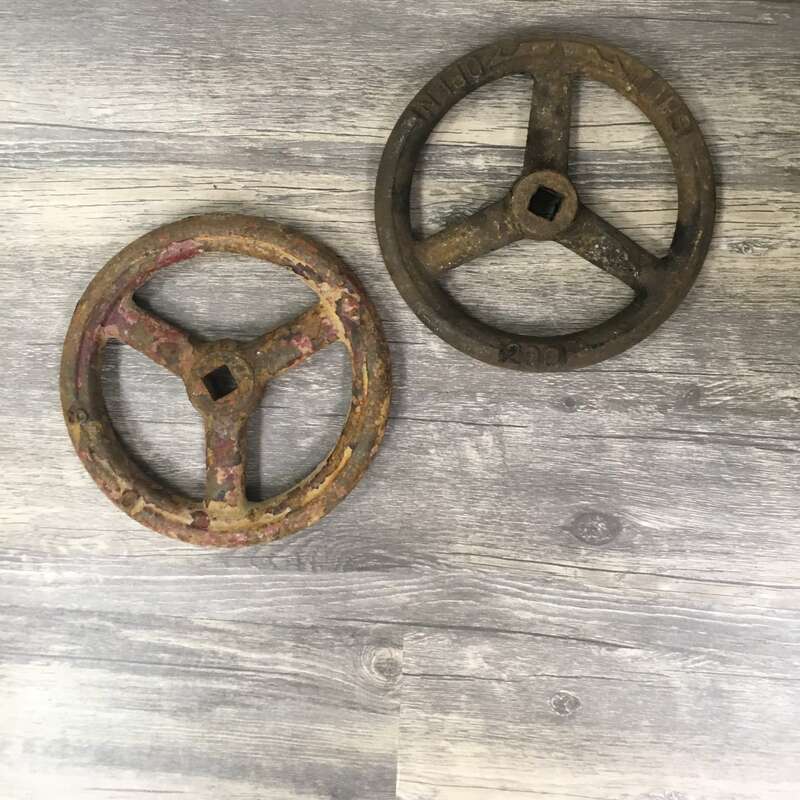 You will be shipped the 15 piece authentic nautical brass lights set shown in the photos.